Marc’in the end of NYFW! Saving the best ’til last, Marc Jacobs ended New York Fashion Week Last night with a fantasy feel, dreamlike runway contrasted with his military inspired collection. The catwalk was more like a theatre set with a bright Barbie-pink house surrounded by matching plush pink carpet. Complete with oversized garments, belted waists, just as oversized pockets and several 3D polka-dots, Jacobs brought a 60s military feel to the runway -with a twist. With a muted colour pallet that consisted of navy, ivory, cream, brown and khaki, together with the texture created by the oversized polk-dots and nipped in waist; S/S15 is going to be an interesting one. As always Marc Jacobs pays exceptionally close attention to detail. Although he explores bold detailing, he still sticks to simplicity and class; to which I admire most about Jacobs as a designer. Having left Louis Vuitton almost a year ago now, he is able to dedicate his time to his own brands; remaining unique and style focused. Even though there are times I am not completely in love with his collections or can not see myself wearing a particular garment, I can not fault Mr. Jacobs for his consistency and creative edge. An Audrey kind of day! When sitting at the kitchen table with a croissant and a cup of coffee just isn’t enough! And one of the reasons I love this movie so much; why be so ordinary? Appreciate the little things that make you happy and find your safe haven. 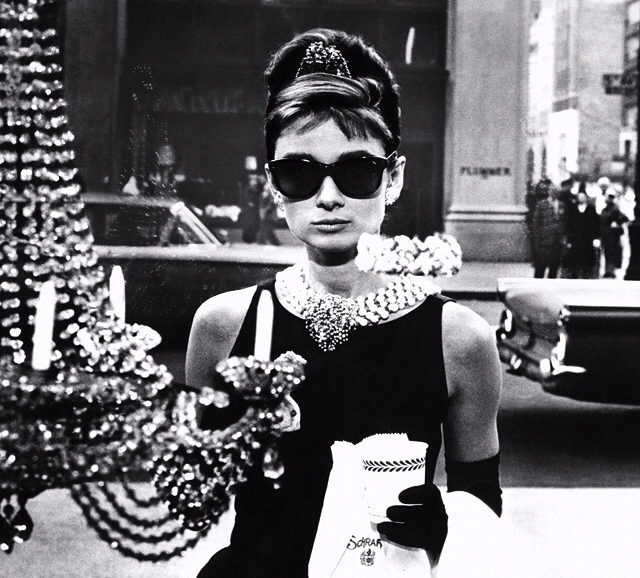 Heres to the most fashionable and classy film character of the 60s; heres to Ms Holly Golightly!